We also provide emergency dental care, so please feel free to contact our office any time with dental emergencies. In order to provide modern, effective solutions to address your unique concerns, our dental practice utilizes cutting-edge methods and technology. With these tools and the experience of our Fort Myers dentist, we can offer treatment for patients suffering from a variety of dental issues, such as tooth decay, malocclusion, gingivitis, more advanced forms of gum disease, or nearly any problem in between. Our aim at Avalon Dental is to allow our patients to feel confident that we have the necessary services to restore both your cosmetic appearance and oral health. Dr. Dilling believes in a comprehensive approach to dentistry – offering treatment not only for the cosmetic appeal of your smile but also improving dental function and oral health. Achieving this informs the level and variety of treatments we offer, including thorough treatment for temporomandibular joint disorder (TMJ). Our Fort Myers dentist offers care to alleviate the discomfort associated with TMJ as well as correct any contributing habits and conditions. Avalon Dental provides several comprehensive treatment plans, ranging from routine care to full-mouth reconstruction. Working alongside patients, Dr. Dilling determines the most appropriate level of care to restore and enhance the durability and beauty of their smiles. Our office is one of the few in-network providers for patients in Lee County, making us the premier location for patients in search of a local dentist that allow patients to secure the benefits provided by their dental insurance policy. Our helpful office staff works closely with patients to ensure they avail the most from their policy and receive the dental care they deserve at affordable costs. For more information about the comprehensive dental care we provide or to schedule a consultation with Dr. Bradley Dilling, call us or visit Avalon Dental today. 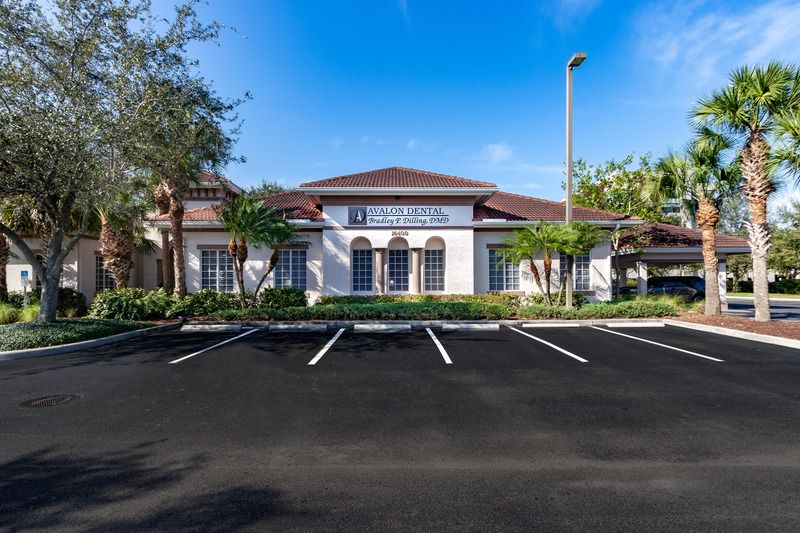 Located on McGregor Blvd., just south of Cypress Lake Blvd, our practice extends our services to the surrounding communities of Fort Myers and Lee County, including Sanibel and Cape Coral. Fort Myers Dentist, Dr. Bradley Dilling is a dental professional dedicated to General, Family & Cosmetic Dentistry such as Dental Exams, Cleanings, X-rays, Fluoride, Dental Makeovers, Teeth Whitening, Veneers, Crowns, & more. Please come and visit Fort Myers, FL dentist Bradley P. Dilling, DDS.